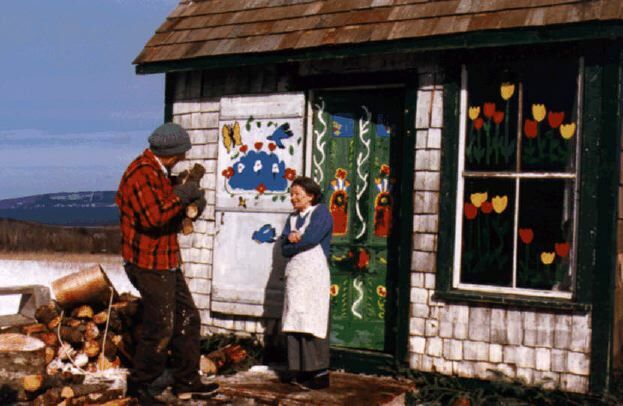 Took a break from the outside world yesterday and finally got to see the film Maudie which is about the late Canadian folk artist and national treasure, Maud Lewis. Sally Hawkins lovingly portrays the artist and Ethan Hawke serves as her rough and surly husband. It is an absolutely charming and moving film, one that I would recommend to anyone who is interested in the creative drive. Or in the human spirit. It captures that compulsive drive that so many self taught artists, particularly folk artists, possess. It is an inherent need and desire to have a means of expression using whatever is at their disposal. Looking around my studio now, I feel spoiled beyond belief by the materials I have on hand. Or by the fact that I am relatively healthy and can hold a brush easily in my hands. Thinking about Maud makes me feel a little guilty for not using all my advantages and painting even more. It is, simply put, a lovely film. In these dark days filled with stupidity and hatred, it is a breath of fresh air — cool Nova Scotian air!— to focus on that image of a arthritis-wracked little woman sitting in front of her humble window in her tiny remote cabin, happily painting the world as she saw it and as she wanted it to be. 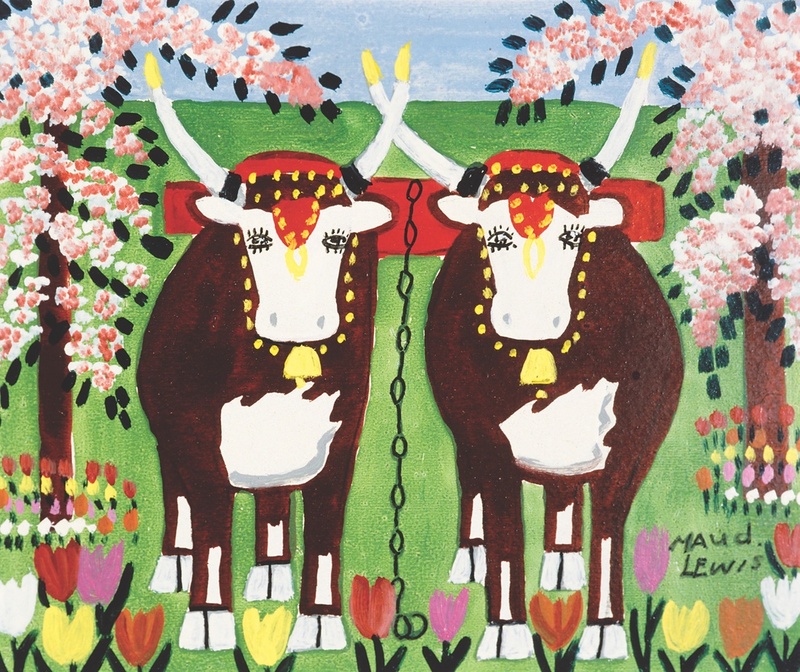 Here’s a little video that gives a brief history of Maud Lewis. For me, Punxsutawney Phil is not the ultimate predictor that winter is coming to an end. No, it is those first reports from Florida and Arizona that baseball’s Spring Training is beginning that does it for me. The baseball is in the air once more and I feel so much better when I am immersed in the rhythms of baseball. And there is such a rhythm. With its 162 games played over its six month season, it is present in some form on a daily basis for those who follow the game. Each day brings something new that adds to the game’s long history, to its poetry and legend, to its voluminous statistics, to its never-ending debates over the superiority of teams, players and eras. For someone like me who is a huge fan of the game’s folklore and history, nothing could be better. Speaking of folklore, the photo at the top is perhaps the oldest image of the game, taken sometime before 1870. It sold a few years ago on eBay for $3800. It shows a group of schoolboys at the Bluff School in Claremont, New Hampshire. It was used in Ken Burns‘ Baseball documentary and was taken by the early photographic studio of French & Sawyer which operated in Keene, NH. Their partnership dissolved in 1870 so the photo was taken before that time. It could be as early as the late 1850’s, pre-Civil War. The interesting thing is that there is action in the photo, a rarity for any photos of the era. It also shows the players in positions that closely resemble today’s game which adds to that feeling of connection through time that is a part of the game. The painting below is an early painting of the game. I don’t know who painted it or when and can’t find anything about it. It was listed on a folk art site and is no longer there so details on it are sketchy. I think it’s a fun piece and reminds me that baseball is coming soon and winter is coming to an end. I am preparing for my first experience as a teacher when I lead a two-day workshop next month. I’ve been thinking what I want to say to the people who come to it. And what I don’t want to tell them. Mainly, I want to stay away from telling them that they should or must do something in any one way. I will show them my process and my techniques but will stay away from all subjective judgments. While I might like to see them render something in one way, their work should be their own creations with its own visual vocabulary and style, all based on their own perceptions. I came into the studio this morning and immediately sat down to read my emails. Among them was the most recent post from AmericanFolk Art@ Cooperstown titled Ralph’s Take On Rembrandt. 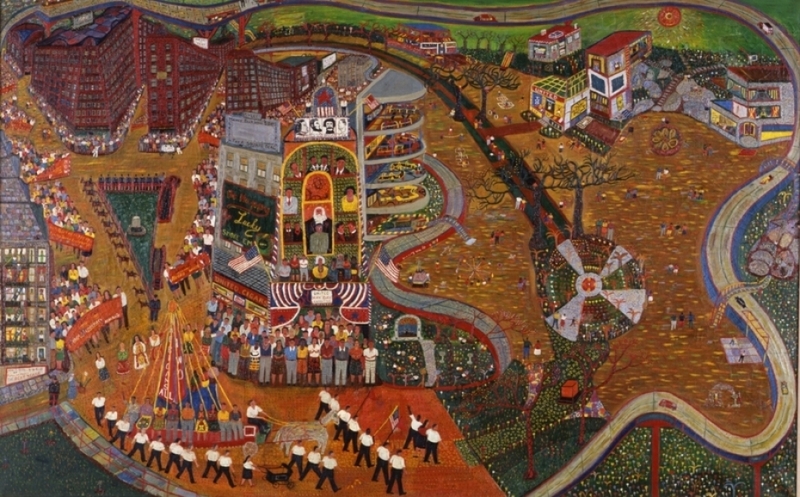 It concerned the late and great American folk artist Ralph Fasanella and his reaction to criticism and unsolicited advice. I finished reading and burst out laughing. Boy, did it hit close to home! Over the years, I have been approached by several people who think they are doing me a great service by telling me that I should change the way I paint in some way or that I should try to paint more like some other artist. Early on, when I was first exhibiting my work, I had another more established artist tell me that I should change the way I paint my figures, that they should look the way other artists paint them. I responded to this artist and the others who offered me their advice with a smile and an “I’ll look into that.” But that one time, I also mistakenly heeded the older painter’s words, being inexperienced and seeking a way as I was, and stopped painting figures for a while before realizing that this was not good advice at all. Here’s the post about Fasanella and his response to such advice. 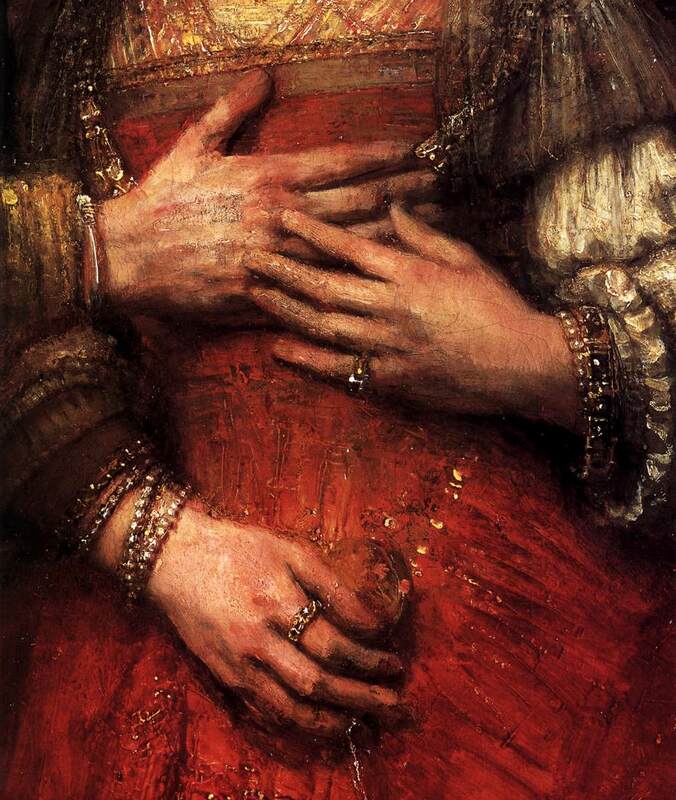 Ralph Fasanella had trouble painting hands. A lot of trained artists do too, so it is not surprising that a union organizer who turned to drawing suddenly at the age of 40 would struggle with hands early in his career. 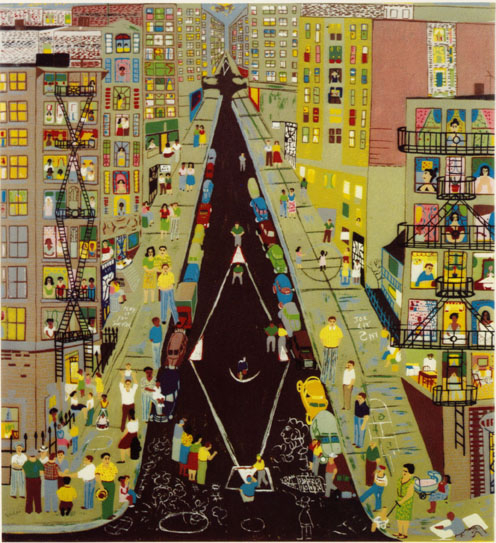 But he did have something that proved better than years of formal training: he believed that he was an artist and that what he was doing – painting the lives of working people – was a calling that deserved his complete attention and all-consuming passion. It is better in art to be honest than clever. 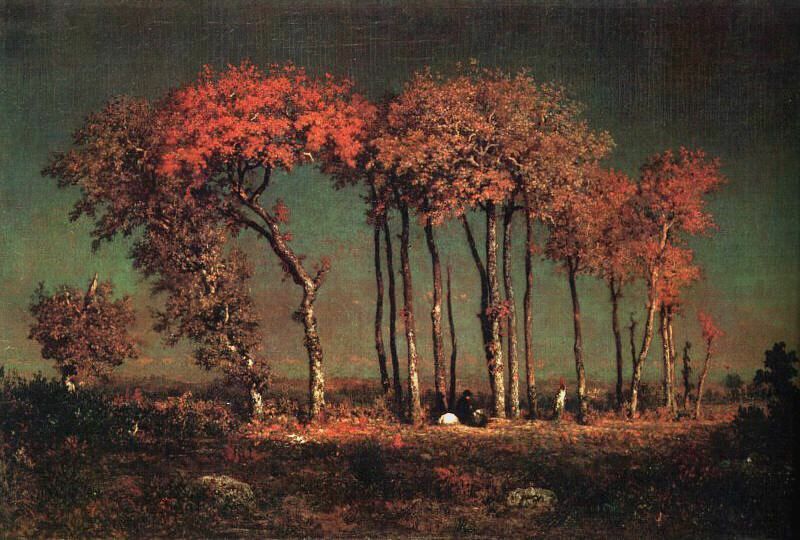 Theodore Rousseau (1812-1867) was part of the Barbizon school of painters, an art movement in 19th century France that was instrumental in moving away from from formalism and towards naturalism and artistic expression of emotion. It was very influential on many of the painters who later created the Impressionist movement. Rousseau and Jean-Francois Millet, best known for his peasant scenes, were the two artists from this school whose work really spoke to me, seeming to have honest emotional content in them. Perhaps that is why his short quote resonated so strongly with me. That and the fact that I have found myself less impressed with cleverness than honest expression through the years. I have always believed that art comes from tapping into the subconscious, something other than the part of our brain that produces conscious thought. I guess I just don’t think we are that smart. Or clever. I know I am not. My work is at its best when it comes from a place of honesty and real emotion, when it is made with more intuition than forethought. When it is too thought out and directed it begins to feel stilted and contrived, losing its naturalness and rhythm and becoming heavy-handed. That is probably the reason I tell young or beginning painters to focus not so much on the actual idea of a painting but more on things like paint handling and color quality, those things that make up the surface of a painting and convey the real meaning of the painting. And I think that is what Rousseau was probably getting at in his terse quote. But maybe not. Like I said, I am not that clever.